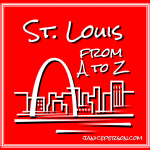 I am hereby sucking it up and finishing the series on St. Louis from A to Z. The series was to be completed in April and I was delayed a bit here and there but had been doing ok — I got to O on the 21st instead of the 18th it was supposed to be posted on, but that wasn’t too bad. But then I got distracted by “real life” of travel, work, etc and I started posting about other topics. Even though I had a real interest in getting the alphabet finished and I had a PERFECT post in mind for P, I found myself avoiding it. Today I’ve decided to get this moving. Get back in the swing of things and finish out my alphabet. Gain my independence from the letter P rather than continue to look at my drafts photo in total disbelief that it has been more than six weeks and there are less than a dozen letters to go and there are some great ones. So I’m dusting off the files and trying to get this finished. They won’t all go up this week or next. Being from Memphis, The Peabody always referred to a hotel, but now I am getting into the St. Louis mindset as The Peabody also refers to the opera house in town as I have had a chance to go several times for concerts. Although it looks fairly standard on the outside to me, The Peabody is a gorgeous building inside. I think many people would describe it as a splendid place. The chandeliers, the marble columns, the velvet curtains and intricately carved wood…. it is something to behold. I was already in St. Louis when The Peabody reopened after a major renovation and had the chance to go down there for a preview with friends Whitney & Shane. 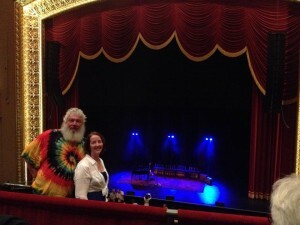 Since then, I’ve had a chance to see quite a few concerts at The Peabody. In fact, I saw two dramatically different shows in the period of time that I was heavy into the A to Z mindset — teen rocker Lorde and classical crossover group Il Divo. I’ve also caught the Avett Brothers, Lyle Lovett and others there and I’m looking forward to seeing Jackson Browne there in the near future! I know…. when everyone thinks of pizza, they think of New York or Chicago style and probably other cities before St. Louis comes to mind. HOWEVER, I have to say. there are quite a few great pizza places in St. Louis. Granted, I’m not a huge fan of Imo’s (which was on my I post for STL) which for some set the tone for St. Louis pizza. But for me, I like the diversity of pizza I find here. Pizza chefs don’t all need to do things the same way in St. Louis and so the range of pizzas is pretty awesome. Pastaria — This leads the list not only because I think the pizza is so awesome but the restaurant’s name starts with the letter of the day too! The wood-fired pizza here is fantastic and if you like spicy foods, I highly recommend the Salume Beddu Nduja. The photo at right is one Amber Pankonin took one our recent visit. Grassi’s — This one is not far from the office and the staff makes you wonder whether they are channeling the soup nazi but they really are great folks. They just need to keep folks moving because the lines can get so long! I tend to get the salad and personal pizza with that cracker thin crust. Talayna’s — This is one my friend Danyelle aka The Cubicle Chick turned me onto. And the lunch special is awesome. 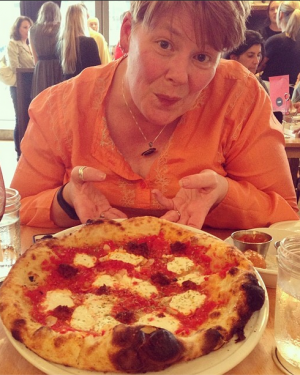 Pi — There are several Pi locations and I have always gotten good pizza there! St. Louis’ local newspaper is the Post-Dispatch — you can catch it online at STLToday.com. This is one of the St Louis items my friend Danielle mentioned…. I haven’t gotten to the planetarium yet but will! It is another of the great sights in Forest Park! Fellow St. Louis blogger Adam Sommer has added this one to my list. Will be checking out the Powder Valley Conservation Center. I have to say that when Scott Gregory Thomas asked me whether I was only doing tourist-oriented pieces, I wasn’t sure where he was going. To think that he went for pork steaks… that is something that raised my eyebrows! I have had some great pork steaks here and Scott provides a whole lot of context. I didn’t know that pork steaks started here or how they were cut. Scott helps you find out all sorts of info on pork steaks including his recommended rub (gotta put that on the to do list too! The A to Z series about St. Louis was supposed to be finished in April but hey, life gets in the way. I’m going to try to get the rest cranked out so feel free to suggest topics for the upcoming letters or call me out for missing a critical piece on today’s post. You can see what else in St. Louis gets a shoutout in the A to Z or check out last year’s post for A in my A to Z of Agriculture.